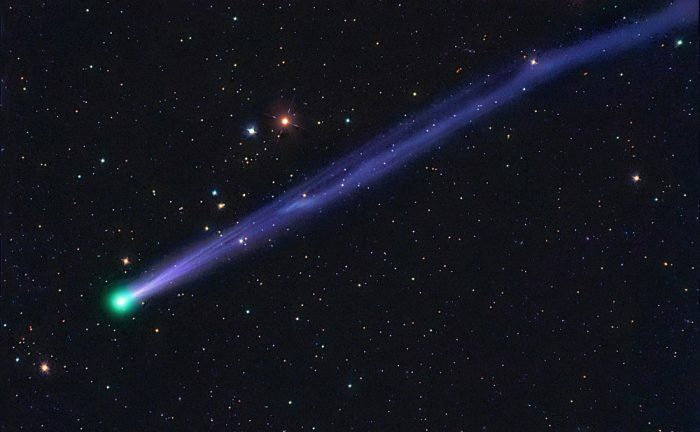 Forget the fireworks – And look for a comet in the sky on New Year’s Eve! As we ring in the new year, a comet – 45P/Honda-Mrkos-Pajdušáková – will near the moon and be visible to those looking west. Comet 45P/Honda-Mrkos-Pajdušáková on October 1st, 2011 by Michael Jäger. Even if you’re not a fan of New Year’s Eve fireworks, you’ll have another reason to look to the skies. NASA says as we ring in the new year, a comet will near the moon and be visible to those looking west. But here’s the catch – you’ll need a pair of binoculars to see it. NASA says comet 45P/Honda-Mrkos-Pajdušáková, named after the astronomers who discovered it in 1948, takes 5.25 years to complete its orbit. This year, it was first visible on the low western horizon on December 15. 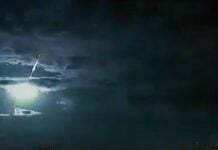 And on New Year’s Eve, it will appear in the sky right near the moon. It will reach its perihelion — the point of orbit when an object is closest to the sun — on New Year’s Day, making its orbit around the sun and disappearing from visibility from Earth. It will be viewable, and reach its maximum brightness, once it swings back around the sun in 2017. The comet will be observable from the Northern Hemisphere of the planet. The comet’s maximum brightness will be about magnitude 6 — the equivalent of looking at a faint star with the naked eye. 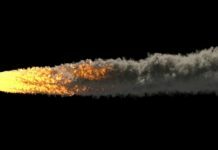 The comet’s presence on New Year’s — a celebration of the year to come and possibilities ahead — is a stark juxtaposition from the typical symbolism of comets as harbingers of destruction. Ancient cultures often viewed them as messages from the gods. Halley’s Comet was blamed for earthquakes, illnesses and even the Black Death. 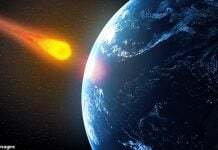 And whether it’s in movies or cults, comets today are still seen as things that can bring about the end of the world. But those who are worried about this particular comet bringing Earth’s destruction — don’t fret. 45p will be a good 0.083 astronomical units away — which is more than 7 million miles.